Sign up for the latest design news and product information. 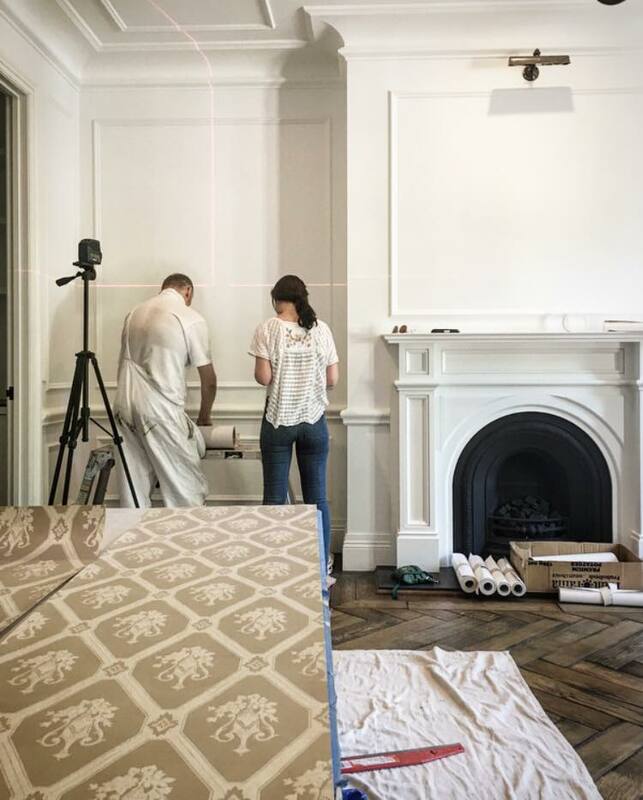 Recently, we installed some hand made/ hand printed wallpaper in the formal study of a residential project. Its all about layers, each layer should have a commonality with the next and should play its part in building up a beautiful interior. In the case of this wallpaper we selected an archival design, most suitable for a traditional study. We hand selected a natural cream and a accent colour that perfectly flowed with the colours of other elements in the room. The oak flooring, the curtains (not shown here) and the elegant off white walls. A third accent colour, handprinted onto the paper, was a fine metallic bronze, highlighting the details of the pattern. This detail matched the antique bronze light fittings and the darker tones of the oak parquet floor. A beautiful connection. The paper was a collaboration with Maree Wilding, through her company 'Interior Productions' and we feel it was a great success. We look forward to collaborating with her again, on future projects, next year. Back to work at last!